On November 11th we hosted local farmer and historian, Peter West, to come to talk to the members about the local impact of WW1, including his information on ‘Strathcona Horse at Oakley Park’. 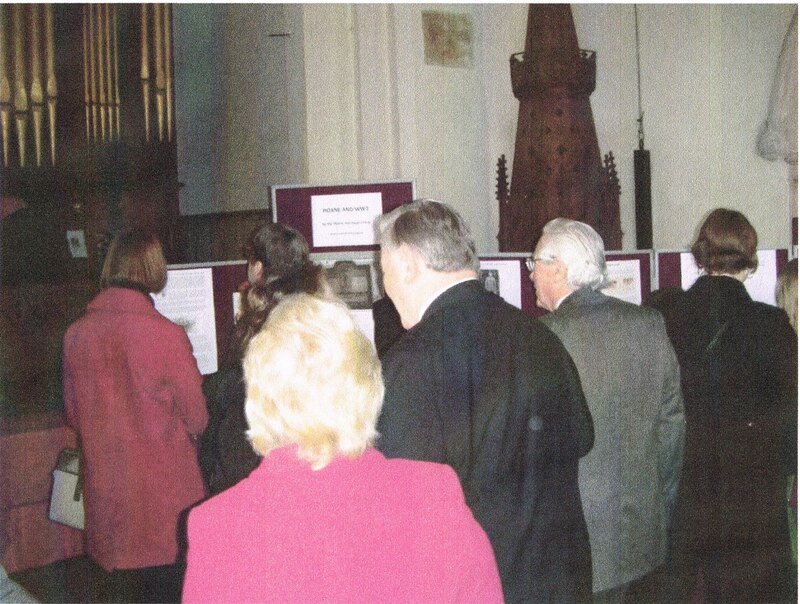 On Remembrance Sunday, November 9th the Heritage Group presented a display of ‘Hoxne in WW1’ in Hoxne Church. The display tells the stories of some of our fallen that are honoured on the war memorial as well as giving an insight to how life was on the home front. This is a work in progress and will feature as a permanent display when the works in the church have been completed. We would be pleased to have any information or photos of villagers involved in WW1 or WW11 to include in the future. Hoxne Heritage Group reflect on our lovely old houses. The group had funded John Walker, local expert of timber-framed properties, to examine some of the lovely old houses in the village subject to owners’ consent. On two separate days John took a small group to examine in depth some of the houses. These included 53/54 Low Street, 23/24 Low Street, High House, the Vicarage, Abbey Farm, Abbey View and Red House, Witton’s Lane. On October 18th he led a fascinating and informative all – day training session to an invited audience in which he gave instruction on what features to look for to date a property, including the layout, the roof joists including crown-posts, Queen posts and different types of carpentry joints. This was illustrated by reference to properties in Hoxne and further by actually touring three of the properties to note key features. We are very grateful to the property owners who participated in this exercise and we hope to include more in the future.